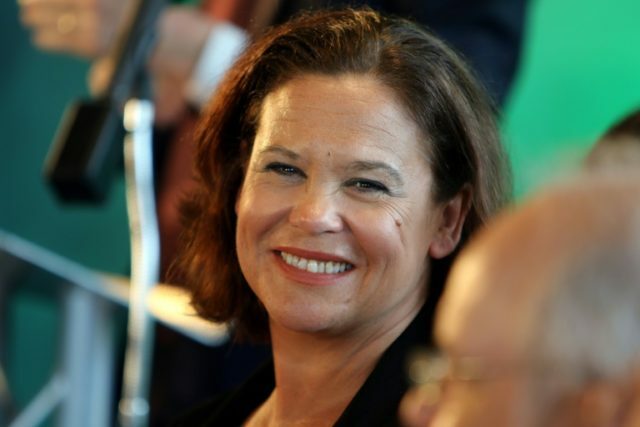 Dublin (AFP) – Mary Lou McDonald is set to become the president of Sinn Fein, replacing Gerry Adams who is stepping down after 34 years as the dominant figurehead of Irish republicanism. McDonald, 48, the left-wing party’s deputy leader, was confirmed as the sole candidate to take over from Adams, 69, at a party meeting on Saturday. The change represents a major shift for Sinn Fein, so closely associated with Adams’ leadership, which started in November 1983. Sinn Fein’s president-elect will be confirmed in the position at a special party gathering on February 10. “I know I have big shoes to fill taking on the role from Gerry Adams, and I know that is impossible,” McDonald said. “But I have brought my own shoes and together, with all of the party membership, we will walk on a journey that will lead to Irish unity. She is also the party’s public expenditure and reform spokeswoman in the Republic of Ireland. McDonald presents a fresh face for the party and has no historic links to the Irish Republican Army (IRA), the now-defunct paramilitary wing of Sinn Fein responsible for more than 1,700 deaths during the conflict known as the Troubles in Northern Ireland. Sinn Fein, which wants Northern Ireland to leave the United Kingdom and become part of the Republic of Ireland, is the second-biggest party in the Belfast assembly and the third-biggest in the Dublin parliament. “I want to see Sinn Fein in government north and south,” McDonald said.